El Niño has come of age. The earliest indications of a global pattern of climate anomalies that has come to be known as El Niño— or, in the scientific community as the El Niño - Southern Oscillation (ENSO) phenomenon— date back to around 100 years ago. The preeminent figure at that time was Sir Gilbert Walker, a colorful British academic who spent most of his career in India studying the monsoon. A major breakthrough in our understanding of ENSO came with the visionary and provocative papers of Jacob Bjerknes of this department, published about 50 years ago. ENSO research began made another quantum leap forward in 1982, with the statistical analysis of marine surface observations by Eugene Rasmusson— a great admirer of Bjerknes and (despite the spelling of his name) also of Norwegian ancestry. Since the time of Rasmusson’s paper, advances in remote sensing by satellites and the archiving and analysis of atmospheric and ocean data have revealed much about the space-time signature of ENSO in key variables, sea surface temperature, sea level pressure, surface wind and tropical rainfall, and other important variables such sea level, subsurface ocean temperature, upper level geopotential height, temperature and wind, and teleconnections to the extratropical circulation. The ENSO cycle affects even the length of the day. The relationships between these various signatures provide textbook illustrations of many of the governing principles of atmospheric dynamics. Because of its persistence from July through the following winter El Niño has value in short term climate prediction. The skill of forecasts based on ENSO is much better than those based on the proverbial groundhog, but still of limited value for southern California rainfall. I don’t expect the skill to improve anytime soon. 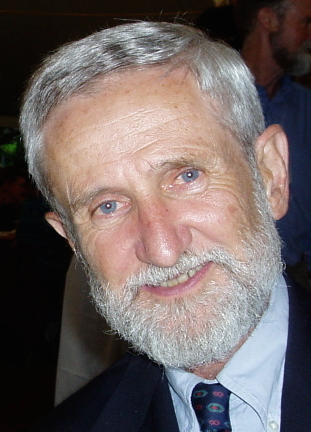 John Michael Wallace (born October 28, 1940), is a professor of Atmospheric Sciences at the University of Washington, as well as the former director of the Joint Institute for the Study of the Atmosphere and Ocean (JISAO)—a joint research venture between the University of Washington and the National Oceanic and Atmospheric Administration (NOAA). His research concerns understanding global climate and its variations using observations and covers the quasi biennial oscillation, Pacific decadal oscillation and the annular modes of the Arctic oscillation and the Antarctic oscillation, and the dominant spatial patterns in month-to-month and year-to-year climate variability, including the one through which El Niño phenomenon in the tropical Pacific influences climate over North America. He is also the coauthor with Peter V. Hobbs of what is generally considered the standard introductory textbook in the field: Atmospheric Science: An Introductory Survey. He was the third most cited geoscientist during the period 1973–2007.